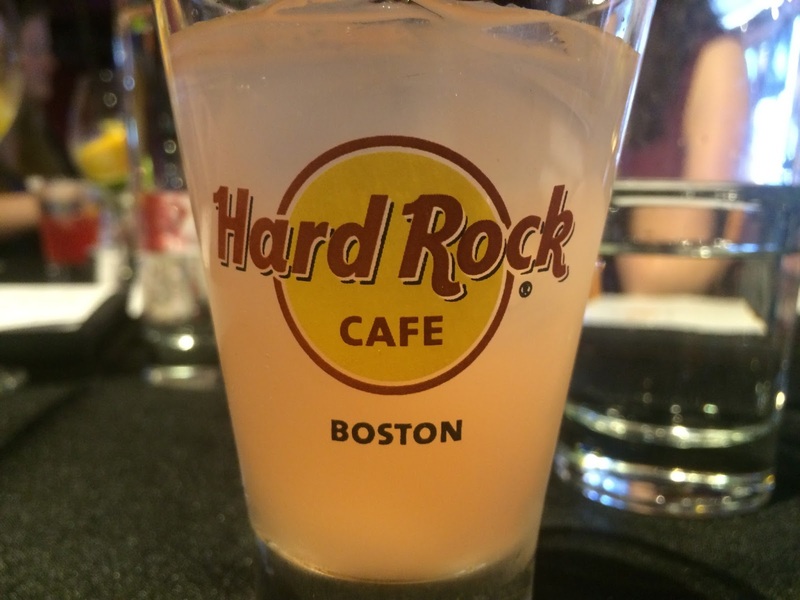 As the Hard Rock Cafe celebrates their 25th year in Beantown, they have also coincidentally been working to redesign their menu. I had the chance to try a lot of items with a few fellow bloggers and let me tell you, they are pretty darn good! I think I’m still stuffed and it’s been a little while… It took the Hard Rock over 14 months to come up with these items after getting feedback from customers and testing out items. The wait is well worth it! Every item I had the pleasure of trying was delicious! 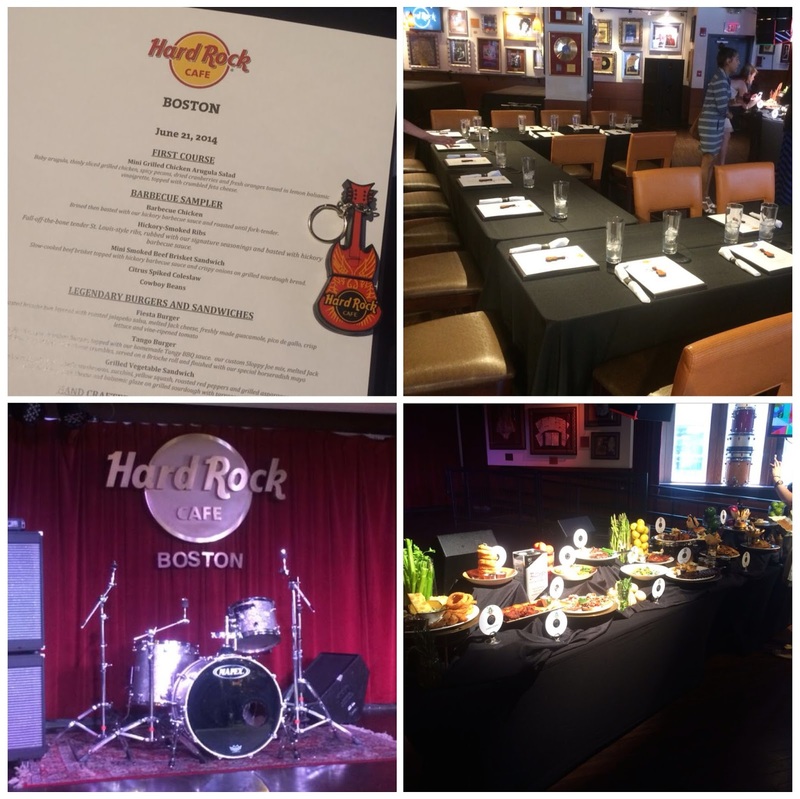 When I first arrived, I was taken to a private dining room (the Cavern Club) that had been set up for all of us. There was a main table which displayed all of the items on their new menu with custom printed compact discs to show the food item. It was a really nice touch! 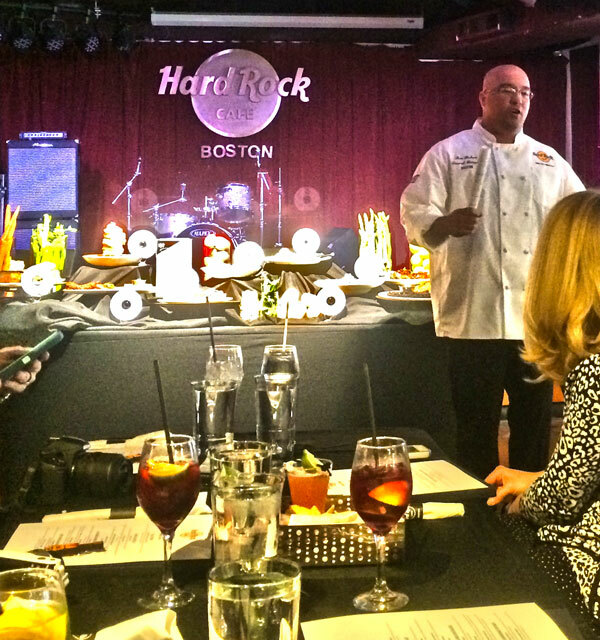 The executive chef of the restaurant came out and described each course to us as we were eating it and what the Hard Rock did to come up with new items. The first course was the arugula salad which was a great way to start of the meal - delicious, nutritious and light. Then we had the barbecue sampler and oh-my-goodness it was mouth wateringly good. Everything had been either slow roasted or smoked overnight - the chicken, the smoked beef brisket slider and the ribs and everything was truly delicious. This beef brisket slider was SO tender and SCRUMPTIOUS! 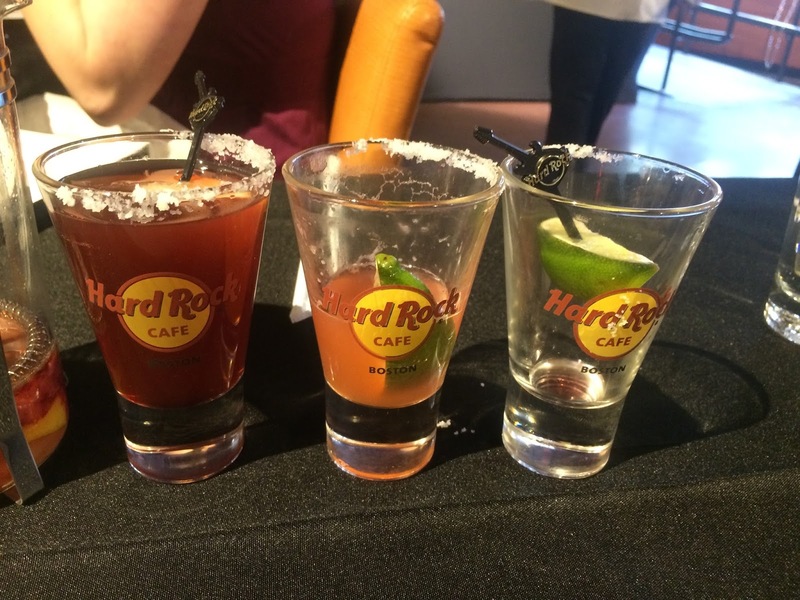 Alongside each of the meal samplings we had the chance to try some of their signature drinks… I found that the mini margaritas (so called “Air Mexico or Air flights” weren’t really my cup of tea, but other people said they were tasty. They tasted too strong for my liking. I figure if I’m going to have a drink it should taste good and I shouldn’t be able to taste the alcohol… which brings me to drink #2, the pressed Red Berry Press drink. OH MY GOSH, this drink was simply delectable and smooth. 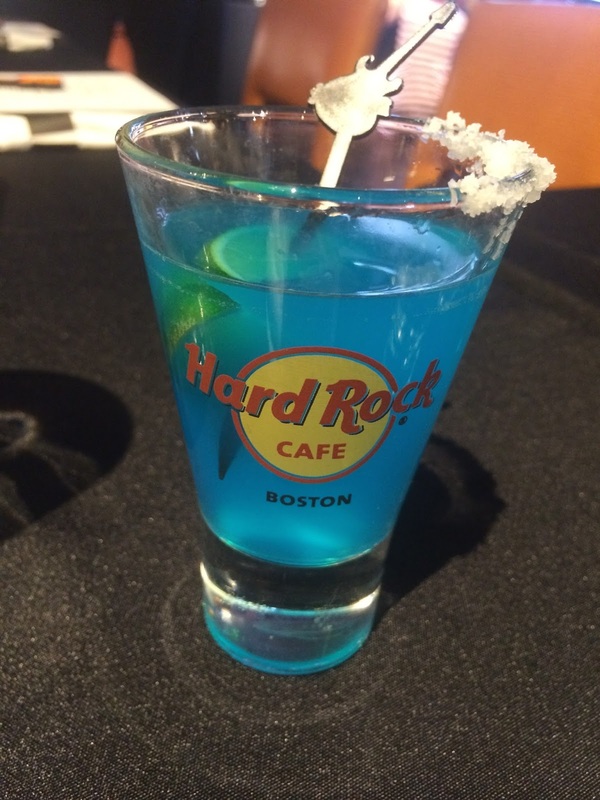 Be careful since many of us who tried it said you just could not taste the alcohol at all. Kinda dangerous (but fun!) 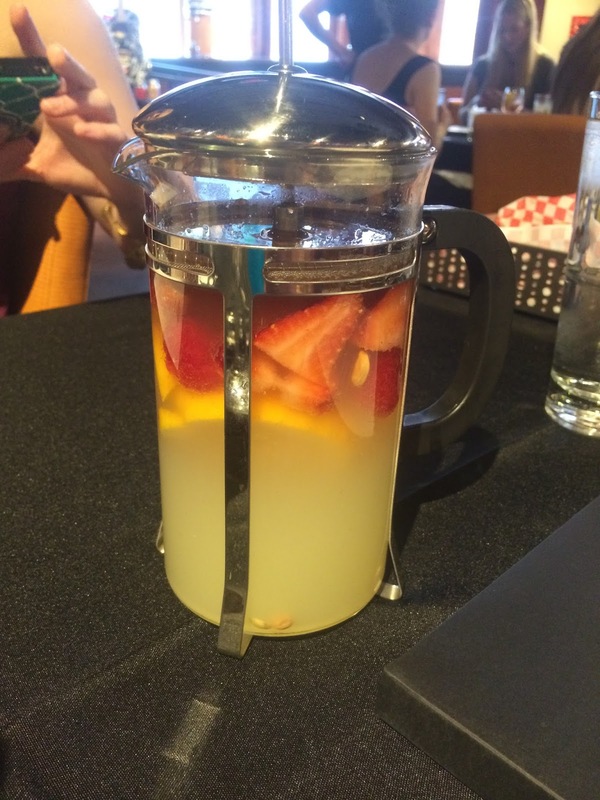 They explained that they make it with fresh strawberries, raspberries, lemonade, lemon-lime soda and Clementine Vodka, all served in what looks to be a coffee-press item that is pressed three times (we got to press it!) to mix up all of the fruits and juices and then poured. The beauty of this drink is that as it gets depleted the juices linger and get stronger so it tastes more fruity and delightful. Then we had the burger sliders which were scrumptious. I didn’t particularly care for the fiesta burger (which had a little kick to it) but the tango burger and brand new Grilled Vegetable Sandwich were a huge hit! Yum! By this time an hour had passed and as if we weren’t stuffed enough, they brought out the big guns… a huge, honkin’ Cowboy Rib Eye steak that was a 16-ounce, bone-in steak cooked perfectly along with a side of Yukon Gold Mashed Potatoes and Asparagus. They even had us try their new Grilled Salmon as well… Can you guess how I thought it tasted? Let’s just say I wouldn’t be writing about it if it didn’t exceed my expectations. 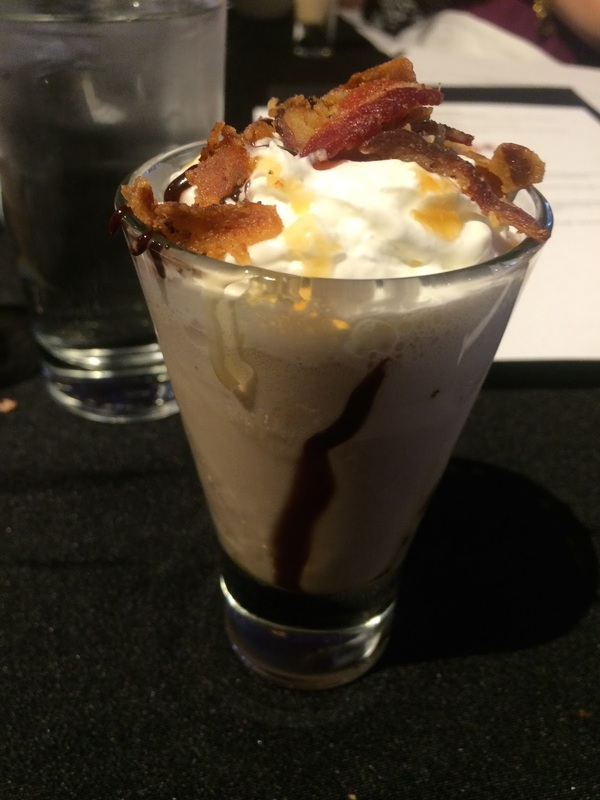 Alongside this dish they brought out the Twist and Shout drink, something I had never seen before, a mixture of spiced rum, dark crème de cacao, Guinness, chocolate syrup, salted caramel and vanilla ice cream, topped with whipped cream, chocolate syrup, caramel and — BACON BITS. Holy moly, that drink had everything but the kitchen sink and was SO smooth. Oh, I forgot to mention, if you didn’t get the steak, they brought out their famed Twisted Mac n Cheese with Chicken, which looked so good, I just had to take a picture of it! Then came dessert. I didn’t know what to expect except if it was just like earlier dishes, it would certainly NOT disappoint and it certainly didn’t. We got to taste the trifecta of a hot fudge brownie sundae, the brand new Oreo Cheesecake and an apple cobbler with ice cream. The cheesecake was made in-house with oreos and baked in their cheesecake along with an oreo cookie crust. As someone who loves oreos, this was just amazing. The apple cobbler was perfect and crispy and just so great. The brownie was delicious too. Can you tell I have a little sweet tooth? 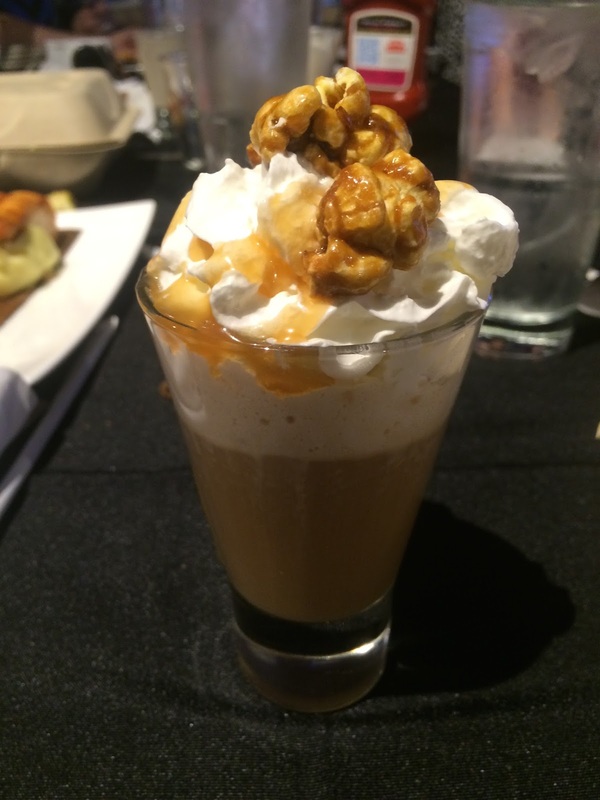 Lastly they served dessert along with the Salted Caramel Cafe, which had Tia Maria, Baileys, Salted Caramel Syrup, half and half, and hot coffee topped with chipped cream and pieces of caramel corn along with caramel sauce. Just so tasty. I remember collecting Hard Rock cafe t-shirts when I was a kid, and unfortunately the one that I still have no longer fits me, otherwise I would have worn it. Thankfully at the end of our meal, we had the pleasure of picking out a new t-shirt. They really treated us like royalty. The staff was so friendly and the hosts were amazing. I would certainly recommend dropping by for a visit for a special date night or even if you’re just in the area with the kids! NOTE: There was no compensation for this meal provided other than they gave me all of this great stuff to try out at no charge. All opinions are my own and there was no promise made of a positive review.